An information text is a piece of non-fiction writing which gives information about a particular thing (for example: Cleopatra, Ancient Egypt, recycling or volcanoes). Information texts are sometimes called non-chronological reports, because they are giving information about something without mentioning the order in which it happened. How are information texts taught in primary school? They will then make notes on their topic, possibly on a spider diagram. If a Victorian woman lost her husband she was called a widow. 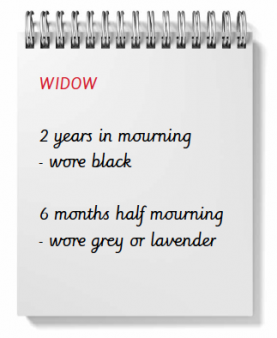 The period of time after her husband's death was called mourning. She would wear black for two years while she was in full mourning. She would then spend a period of six months in half mourning, during which time she would wear grey or lavender clothes. Once children have written notes from various sources, they will write a draft of their information text. Teachers will support them in editing and re-writing this report, by encouraging them to use correct punctuation and sentences that make sense containing connectives. Children then need to plan and write their 'neat' version. They need to think about the layout, of this, including the main title, what will be in each paragraph, whether there will be a bullet-pointed list and where the pictures and captions will go. Emphasis needs to be placed on designing the report so that the layout is clear and eye-catching. Looking for more literacy information? We explain all primary non-fiction texts in our parents' guide.